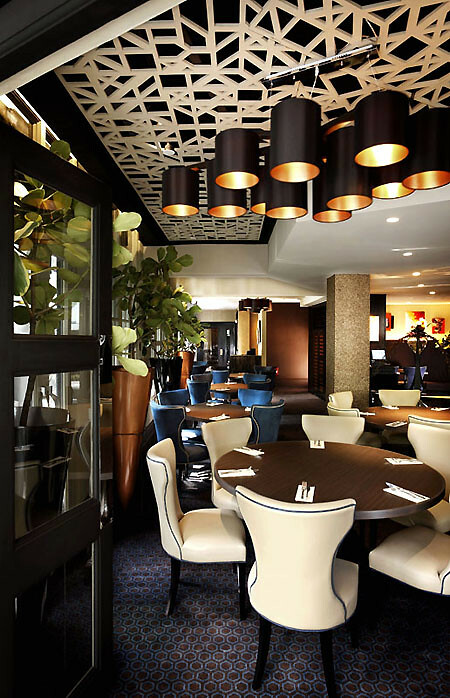 With a revamp of Desire at The Scarlet comes a completely new restaurant and bar all-day dining concept, Our Korner, which features international and Asian casual comfort favourites in their menu. And the overhaul also meant The Scarlet did away with the posh intimate furnishing of Desire and transform it to a more welcoming and cosy environment of Our Korner. 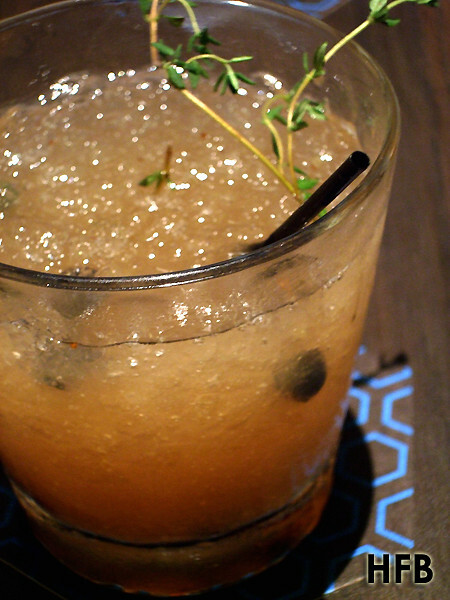 HFB got going with Thyme To Roll ($16.00), Our Korner’s signature cocktail concoction of Bourbon, Brown Sugar, Lemon Juice, Orange Curacao, Thyme and Blueberries. A cocktail that came packed with punch – it had robust flavours and sets the tone for the evening’s dinner. 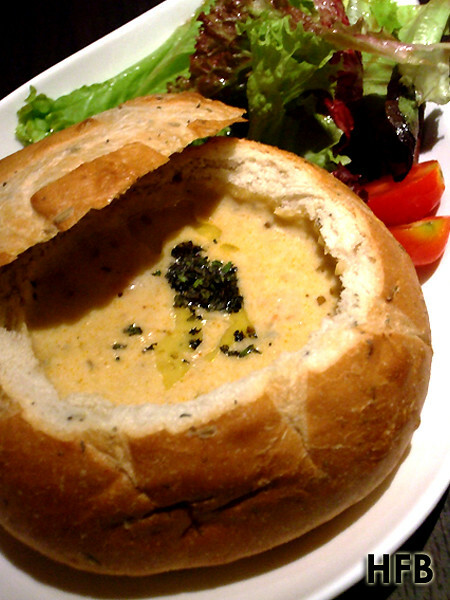 By marrying the cornerstone of Asian favourites with Western influence, one would thus be expected to kick-start a meal with their signature Laksa Clam Chowder Soup ($14.00) that came served in a focaccia bread bowl and a drizzled of truffle oil. A harmony of our local delight with a popular western soup, HFB thought it was a good match – creamy and nicely spiced, yet didn’t came across as too heavy for the palate. That being said, he didn’t quite tasted the “truffled” finishing, even if he felt the soup was superior enough on its own. 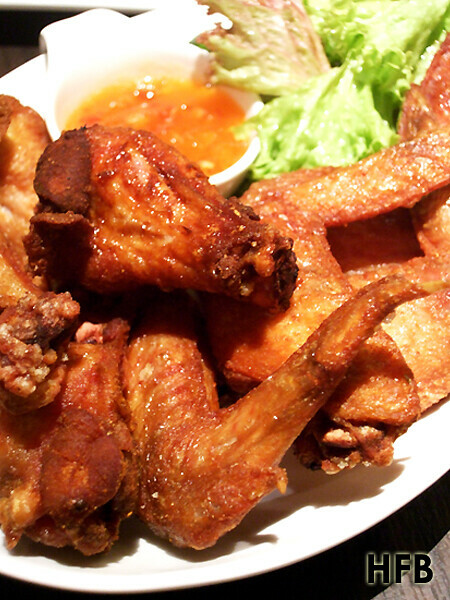 HFB was also introduced to their Oriental Wings ($16.00) that was said to be marinated with 14 different herbs and spices – thus offering the nice complex flavours bursting forth with every bite. Although HFB felt that the wings could do with a little more salt, it was not something a dip of the homemade spicy sauce couldn’t lend a hand to. 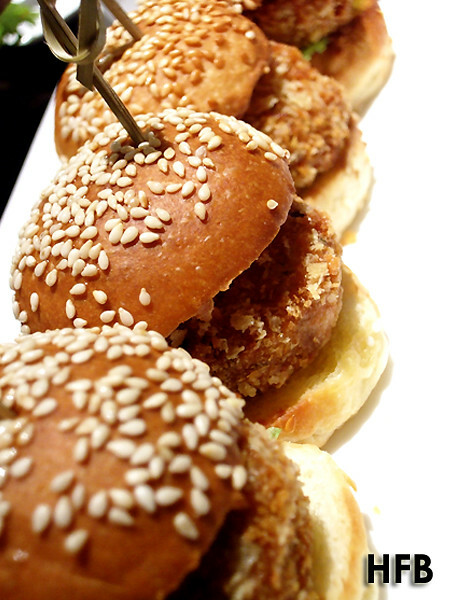 HFB was pleasurably satisfied with Our Korner’s Chilli Crab Sliders ($22.00). Essentially mini burgers that contained patties made with crab meat and diced water chestnuts; it came accompanied with their signature chilli crab sauce on the side. HFB thought the patties were really well executed – well breaded crust with choke full of crab meat with added crunch, the chilli crab sauce enclosed a nice medley of spicy, sweet and savoury all at one go. This is chilli crab made simple, yet divine! 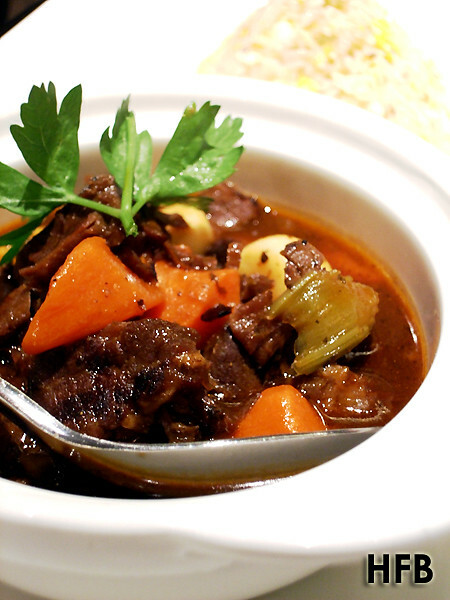 Using chuck cuts from US short rib cooked with red wine veal jus, the Beef Ragout ($35.00) was full-bodied and a perfect combination for the garlic rice. If he had to pick on it, it was the portion was petite as a main, at least for HFB. Seated on an Almond Tart and came with Dark Chocolate Cream and Nutella, the decadent Nutella Chocolate Tart ($14.00) was sinfully rich, but not too sweet. 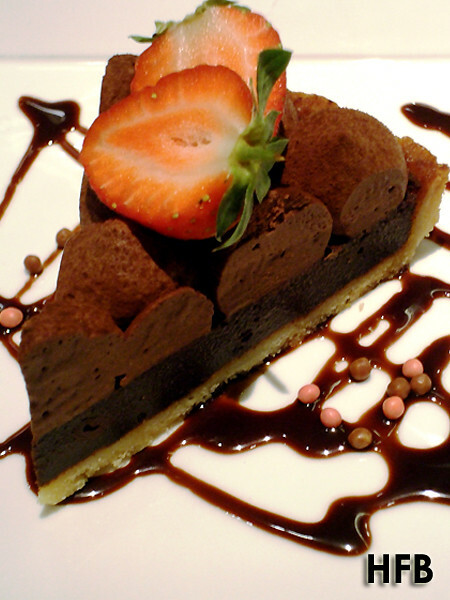 Definitely worth saving your stomach for it after a meal! 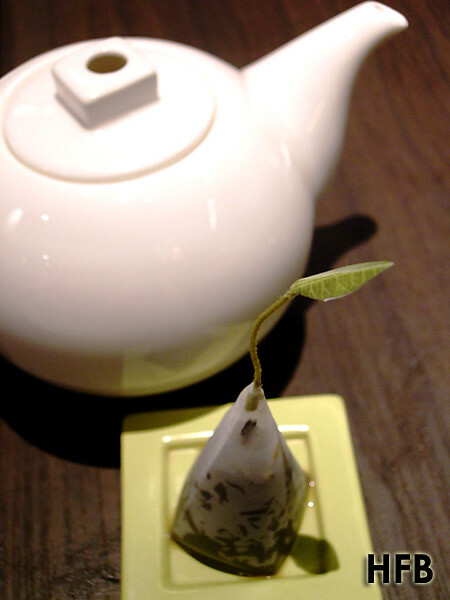 And to wash it all down, the Orchid Vanilla Tea ($7.00 per pot) would be an excellent choice. Sourced from Tea Forte, it came with a nice designed tea bag; and the tea had a nice pleasant vanilla scent amid the floral finishing. Comforting! And if you are a morning person, Our Korner also offers Breakfast Buffet with Ala Carte option for $30.00++ per pax. Indulge in Western breakfast classics like Croque Madame, or Eggs Benedict and Asian delights like Laksa and Prawn Noodle along with a comprehensive buffet spread that includes unlimited serving of Soy Beancurd that rivals that from popular hawker stalls! To top it off, The Scarlet is generously giving away a “Tease me all night…” Valentine’s Day package worth $360++ to ONE lucky reader! YES YOU READ THAT RIGHT!! [UPDATE] Congratulations to Fiona of S852XXX5H. You have won yourself The Scarlet's Valentine's Day Package. The management will contact you shortly with the details. 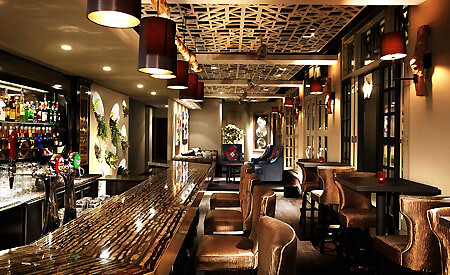 All you have to do is to use 5 words to describe The Scarlet (HINT: Answer can be found on www.thescarlethotel.com), and email your answers with your Name, NRIC and Contact Number to cory@grace-int.com by 9 February 2012 (Thu) 2359 hours. Disclaimer: No ratings would be given, as this is an invited media tasting. HFB would also like to take this opportunity to thank Our Korner and The Scarlet for their hospitality.